In 2008, my husband and I decided it was time to bring all three of our children to Walt Disney World for Hayley and Emily’s first trip and Joey’s second trip. Emily was just 10 months at the time and in diapers. Hayley had just turned two and was starting to show some interest in potty training. Joey was three and a half and in pull ups but almost potty trained. When we arrived in Orlando, I thought I was prepared – pacifiers, security blankets, bibs, sippy cups, two strollers and every other item I thought I would need. What I forgot? Mentally preparing myself for a week long Disney trip with three children in diapers. I learned some valuable lessons that I am happy to share with you. 1. Disposable changing table pads are a must have item, not only for the parks, but also for the plane and hotel room. Some airlines do not have changing tables in the bathrooms. The flight attendants will tell you to change your child on the seat. This is important not only for you to be prepared for changing your own child on the seat, but also, now that I know this, I always make sure I wipe down the seat before putting my children’s seat belts on. 2. We always bring a back pack into the parks. For this particular trip, I purchased a larger one than I would normally carry, but I made sure the straps fit over the handles of our stroller, so that no one would be carrying it around all day. I brought a full box of wipes into the parks every day, as well as a supply of diapers/pullups for each child. Even though we always planned midday breaks back at the hotel room, I always packed a full days supply because you just never know where the day will bring you. 3. Joey was almost potty trained when we arrived in Disney. His issue was more that if we didn’t remind him to use the potty, he didn’t ask to use it on his own. At home it is easy to give the consistent reminders to use the potty. In Disney, we lost that consistency. At the end of the second day, it hit Pierre and I that we had to get back to routine. Once we did that, Joey was back on track. 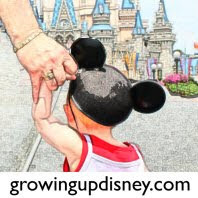 Lesson learned here is that keeping home routines consistent when in the parks, or as consistent as possible, is important for your child’s potty training success. 4. Hayley, just two at the time, was the height of an average four year old, so there was no place to change her but standing in a bathroom stall. This was not an issue for the actual diaper change. It was the fact that the toilets were so loud that it scared Hayley to a point that she refused to go in the bathrooms. It made for a very long week when every time we needed to bring her into the bathroom, she turned from my character loving princess to a terrified, screaming child. It was heartbreaking. This actually was the beginning of a long term health issue that Hayley is still struggling with today, two and a half years later. 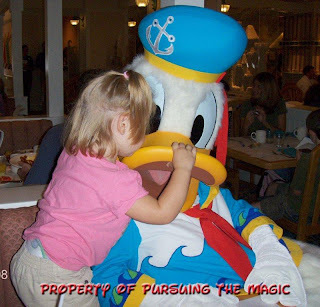 If you are taking a child to Disney who is getting ready to start potty training, what our family has been struggling with is a very rare case (only occurs in 1-3% of all children, with only 8% of that number being girls), and this should definitely not deter you from taking your potty training child on a Disney vacation. But my lesson learned was that Disney toilets are very loud and depending on your child, you may need to prepare them for that. 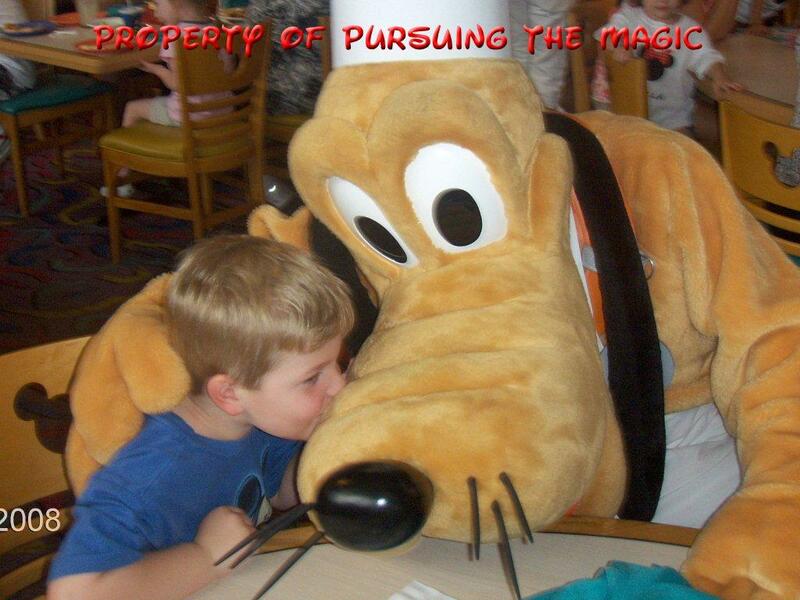 In the end, though we had some trying moments, it was a great Disney vacation filled with amazing memories. Now we are preparing for our next trip to Walt Disney World and I am happy to say we will be diaper free! It is quite an exciting milestone for us. Contributed by Beth D. of Meredith, NH. Wife to Pierre, proud mom to Joey, Hayley & Emily, creator of Pursuing the Magic, founder of The Magical Blogorail and contributor to Growing Up Disney's Minnie Moms. I've never tried this myself, but I've read on other blogs and message boards that you need to bring post it notes into the stalls with you. If you stick a post it note over the flushing sensor, the toilet won't flush until you're ready for it to. The post it allows you to move around, adjust your clothes, etc without the toilet flushing each time you move! That way, you can let your child go, get them situated and then have them exit the stall while you pull off the post it- triggering the flush. That way the child isn't "trapped" in the stall with the loud toilet! Maybe that'll help!! Great tip, Beth! I am going to use that next trip. We used the post-it note trick when Mia was almost finished potty training on our first trip to WDW and it's fabulous! She's 8 now and still doesn't like auto-flushing toilets. 3 in diapers or pull-ups? You're a brave, brave, woman... I don't remember my only diaper'ed trip (he's 22 now, LOL) and but you have my sincere appreciation! Beth D, thanks for sharing your tips! Beth G, I love the Post-It trick. I have it in another post somewhere. I can't say that I came up with it on my own but I heard it once upon a time and filed it away as important information. Oh, the things that become a big deal when you are a parent. Kimberly, I tease Beth D about being Wonder Woman.